Over a long career in Canberra hackdom I’ve often marvelled at the way the Australian Defence Force thinks about itself. The strangeness in the way the Oz military understands what it is—soul, history, purpose, future—has some parallels in the way the military deals with politicians and the paying customers (aka: fellow citizens). Add in the eternal irritations and heartaches of coping with the civilian bureaucracy in Defence and there’s a lot of oddness and strangeness to go around. And, finally, there’s the way strangeness shades towards paranoia at the appearance of a simple hack with a notebook or microphone. Thus it’s fascinating to get some reports from inside the belly of the beast to the effect: if you think it looks unusual from the outside, you should feel what it’s like on the inside. James Brown covers a lot of ground in his excellent book ‘ANZAC’s Long Shadow’, and while attacking the Oz culture of remembrance he also has some astute observations about the military culture he served. Brown says important things about how the ANZAC talisman makes it ‘impossible to criticise the Australian Defence Force, even when it makes the same mistakes over and over’. For the great power of the talisman to repel criticism, see the storm that enveloped Labor’s shadow Defence Minister when he dared to accuse a Lieutenant General of a ‘political cover up’. In the ADF, few officers are demoted or sacked for poor performance. Promotion courses are set to the lowest common denominator and failures are rare. 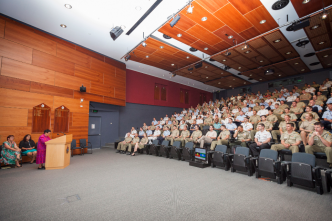 Until recently, mediocre performance was tolerated even at the Australian Command and Staff College, with very few officers failing either the promotion or academic components of the course. One of the ADF’s defining traits is a lack of a critical professional debate. This is dangerous in a society that already does not take much of a sustained political or academic interest in studying the art and science of war. Now sitting outside, Brown offers a sharp inside-the-Army perspective. Doing the same for the RAAF, Peter Layton gave a succinct rendering of Brown’s themes in his Strategist piece, posing an excellent question: does Australia need thinking ANZACS? Part of Peter’s answer is that the Defence Force merely mirrors Australia in not holding critical thinking and new ideas in high regard. Brown and Layton both seem to think that Defence has gotten worse at this over the last decade or so. The other way of seeing it, I suggest, is that the rest of Oz has been changing a lot faster than Defence. One thing that got a rueful smile from this hack was Brown’s bemusement at the way Defence deals with the media, quoting Major General John Cantwell, after his command in the Middle East, on ‘the draconian control of information by the Department of Defence Public Affairs Office and the Defence Ministers office’. In rapidly shifting times, it’s nice to know some things are constant—the Defence difficulty with hacks is a tradition going all the way back to Gallipoli. In fact, it’s an established international custom, with the British Secretary of War saying that the Army should ‘lynch’ William Russell—the father of war correspondents—for his coverage of the Crimea. In the American Civil War, Lincoln had to intervene to prevent General Sherman executing troublesome correspondents or General Grant putting the hacks before a court martial. Australia’s first official war correspondent, C.E.W. Bean—the man who did so much to enshrine the ANZAC legend—remarked that his two bugbears at Gallipoli were ‘Turkish flies and Australian officers’. Bean’s successor in WWII, Kenneth Slessor, resigned as official correspondent in 1944 to forestall any attempt by the Army to have his accreditation withdrawn. Slessor complained of the ‘hyper-sensitive reaction to correspondents’ work’ by Army officers, who produced their own share of ‘contemptuous or intolerant criticism’. In Vietnam, the early rapport between the Australian Army and Oz journalists faded, despite the work of exemplary correspondents such as Pat Burgess, Creighton Burns and Denis Warner. One Australian commander of the Task Force in Phuoc Thuy was so hostile to reporters he even monstered press secretaries accompanying official visitors. In September 1968, Australian Force Vietnam gained new powers to restrict reporting in Australian combat zones. Under the rules, reporters were not to meet or quote any Australian soldier ‘without having first been cleared by a PR officer’. On Afghanistan, Brown argues that a vacuum of information and understanding was created by a defence culture unwilling to engage with the media and a political culture obsessed with controlling the media cycle. The only narrative the Australian public received was the return of the bodies of dead soldiers; no surprise that popular support for the mission evaporated. Again, wonderful journalists like Sally Sara and Chris Masters produced exemplary reporting. And Sara has made a point of praising the hundreds of troops she dealt with as ‘immensely respectful and helpful’. The problems of help and respect come higher up the system and in the official mindset. Defence spends more than almost any other institution in the country on educating its people. 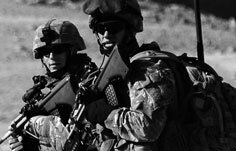 The military is trained to operate near the limits of human endurance and to confront war and death. 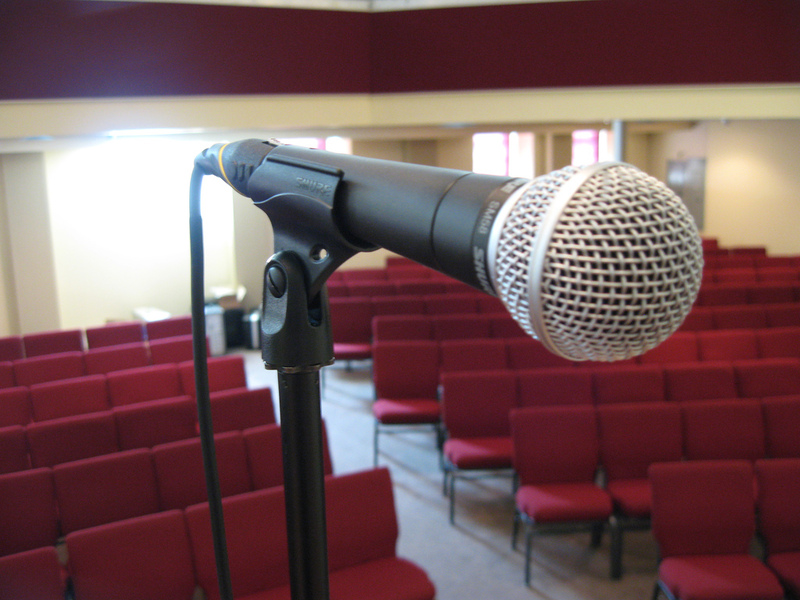 But these skills are assumed to disappear the moment a microphone appears. Defence’s best people suddenly are innocents; they must be shielded from the temptations and traps used by slick journalists to lure them from the path of the righteous. Or perhaps the image should not be of a Biblical fall from the garden of innocence; perhaps we’re really dealing here with media monsters and TV trolls. When speaking publicly Defence members should not assume that the monster is not present or that information will not be relayed to goblins or trolls outside the forum. This even applies when speaking under Chatham House Rules where information gained may be used but not attributed to the persons making the remarks. Monster access to seminars, conferences and similar events arranged by Defence requires careful consultation with PACC. The risks of inaccurate reporting, misrepresentation, uncoordinated messages and inadvertent disclosure of sensitive or pre-emptive information may be high…Defence members attending events at which monster representatives may be present need to exercise care. Graeme Dobell is the ASPI journalism fellow. Image courtesy of Flickr user williamhartz. How are we educating our military?